Modern offers homeowners an organic approach to pest control. There is a strong emphasis on the use of organic products these days. We can buy organic foods in the grocery store, as well as organic skin products and even organic clothing. By using organic products, we’re reducing our contact with pesticides and other chemicals that may be harmful to humans. We’re also reducing our carbon footprint, which is an environmentally responsible way to make the world a better, safer and healthier place. At Modern Pest, we know how important it is to our customers to have the option of organic pest control options, which is why we offer our HomeCare Organic Pest Control program. This program is a natural solution to help you get rid of unwanted pests and the diseases that they may introduce into your home and to your family. An organic pest control program utilizes natural pesticides to get rid of pests. This includes materials that are derived from organic sources, like oils gathered from plants. Organic treatments mean that you don’t need to worry about your children or your pets spending time in your home after a treatment; the treatments are safe for their health. Our organic treatments are eco-friendly compounds that are biodegradable and won’t build up in the environment. Our organic program strictly adheres to the UDSA’s National Organic Program regulations. Our organic treatments will get rid of many different pests, including ants, cockroaches, ticks, rodents, moths, and beetles. Our organic treatments work in conjunction with our Integrated Pest Management (IPM) procedures, where we use exclusion techniques and environmental modifications to assist with the pest management control methods and effectively get rid of pest problems. Modern Pest Services has been recognized by the US Environmental Protection Agency as a Pesticide Environmental Steward under the EPA’s Environmental Stewardship program. 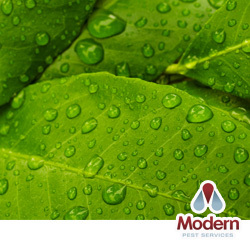 If you are looking for pest control solutions that don’t rely heavily on the use of possibly dangerous pesticides, contact the professionals at Modern Pest Services. Our trained and knowledgeable technicians know how to effectively eliminate pests from your home through the use of Organic materials and IPM techniques. Our pest control services can help you eliminate pests that are currently in your home as well as prevent potential pest problems from occurring. If you would like to set up an appointment to have your home inspected and to discuss our organic pest control program, contact us today at 1-800-323-PEST. One of our friendly representatives would be happy to schedule your first inspection and answer any questions you may have about our services. Give us a call today!